She is someone who is ready to sacrifice her comfort for the love of her child. Someone, who will say 'yes' despite the various consequences. She carried you alone on her womb for nine months enduring all pain yet, not a single complain on any days. She went in pain to give life to another being. She may be quite, although there are millions of thoughts and words going through her mind. She would spent those sleepless night to see that her son does better in his test. And, she tries her best to cook the perfect dinner so that her husband can go to bed with a happy stomach. She might as well give up all her wellbeing to let her daughter get the best of everything. She bears all the hardship to see that the house is in good shape and in peace. She is your mother, My mother, Our dearest Mother. And, most of the time we fail to say the simplest of thank you to her, or the little word of appreciation to make her feel she is special the way she is. Or, at least ask her whether she is fine to be treated this way. Yes, She doesn’t expect anything in return yet, a simple gesture of saying, she is the best mom will bring those tear of joy from that frail eye. She may not be masculine enough to fight against all odds but, her strong feminine nature have enough strength to blow off all life's difficulties. Her prayer for you will withstand all obstacles and all to all her love for you will forever be the greatest gift anyone can ever give. Truly, on this occasion I would like to thank my Mom (although, I thank her every single day.. being a special day, I would like to do it in a special way) for all that she has done for me. An endless gratitude in fact, for all her countless blessings on me. And, I bet you should take this day to thank her as well, for all that she did for you and is yet to do. But, do remember its not about thanking and loving her just today and forgetting all about it tomorrow, instead remind her often on how she is one God's greatest gift to you. Celebrating her existence and giving her the love she always wanted. 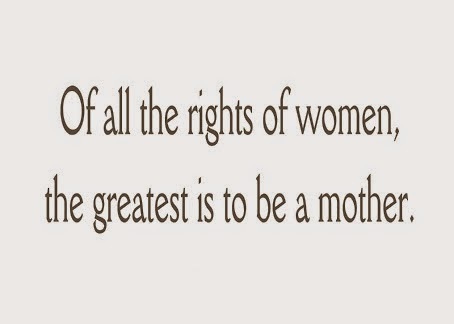 Happy Mother’s Day to all wonderful Mothers. And, to all those without one don't you feel sad or unhappy, you have 'Her' in an angel form she is looking from up above, she is there to protect you from all harm like she always did. And, she will always be with you in all your life occasions both happy and sad events. she will forever be with you as your protecting 'Mother' and offer you those Selfless undying love from up above. Happy Mothers Day!! God Bless All.